A few years back I took a pause from my B2B marketing career to write a book. Then I got hooked on the book thing, and never looked back. Oddly enough, in learning about indie publishing, I forgot everything I knew about marketing. Or it seemed that way. 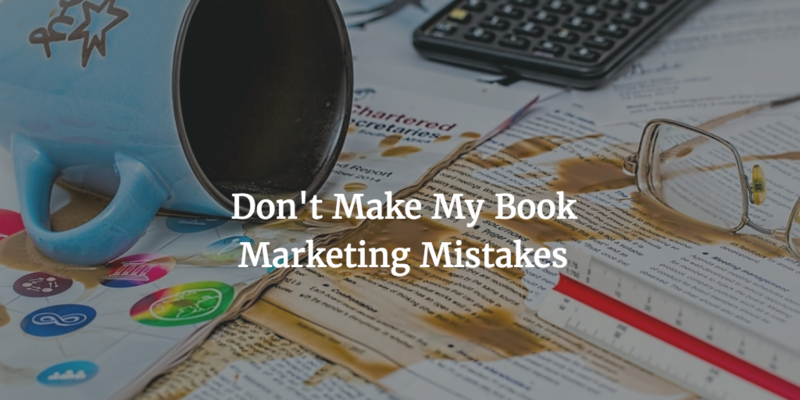 Books Need Marketing – Duh! The B2B technology marketing world was filled with long sales cycles that demanded tons of content. Multiple decision-makers weighed in on every purchase. When I started writing and publishing books, I though I could leave all that behind. How wrong I was. Yes, a book is a simpler sale, but the marketing basics still apply. It took me a while to internalize that fact and put my big-girl marketing pants on yet again. You don’t have to suffer through that same struggle. If you’re just publishing a book or figuring out this author marketing thing, there’s a better way. 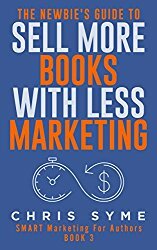 Read Chris Syme’s Newbie’s Guide to Sell More Books With Less Marketing. Chris is an excellent guide to the marketing challenges. I first encountered her on the wonderful Smarty Pants Book Marketing podcast. Give it a listen. Then I started reading her books. Her newest book, the Newbie’s Guide, does a great job of encapsulating practical marketing strategies for people figuring out the book marketing thing. The online world is filled with book marketing advice. Here are three things that differentiate this book from the crowd. 1. Simplicity. While Chris comes from a marketing background, she doesn’t assume that you’re going to go on a full-on marketing crash course. As the title indicates, this book about setting the goals and working on the most essential parts of the marketing plan. For example, she narrows down on three things every author needs: a website, an email marketing strategy, and a Facebook business page. You might want to argue one of those points, but there’s power in simplicity. 2. Understanding your starting point. Every time you see one of those “this is how I sold 10,000 copies” posts, ask yourself: where was that person starting from? Chris makes the starting point explicit. The book describes various platform levels for fiction and nonfiction authors, and discusses how they map to marketing strategies and tactics. 3. A focus on loyalty. Instead of promising thousands of sales, Chris focuses on all three components of the book buyer’s journey: discovery, sales, and loyalty. As someone who has spent a great deal of time talking about the importance of long-term customer retention and loyalty (read Subscription Marketing), I’m thrilled to see due attention given to nurturing existing readers and loyal fans. The book is on sale now on Amazon, and the book includes access to a free book marketing course.